The nurses are paid a reasonably high salary in most countries all over the world. This is because of the lack of adequate number of qualified nurses. The demand for nurses in developed countries is very high because of the high level of healthcare provided there. This causes many nurses completing their education from developing countries like India and Philippines to leave the country. They prefer to work in other developed countries like Ireland, USA and England. This creates a deficit in the number of nurses who are available to work in India and Philippines. The salary of a nurse in India may not be as high as that of a similar professional in developed countries. But as the experience of the nurse increases, there are more opportunities for the nurse. The pay of the nurse also improves with better qualification and with specialization. The place of work also matters. A hospital in a city usually pays more than a rural hospital. The government also tries to ensure that the salary structure of the nurses is quite high. Those in the government set up have better scales and on par with nurses working in other countries. It is well known in the medical profession that about 60% of advertised vacancies in the health care sector is for the nursing profession. This means that there is a huge potential for job opportunities for nurses. When the employment possibilities in many other professions are falling, the nursing profession is on a roll. There is a lot of shortage of nurses at all times. The main reason for this is that as India becomes a developed country, the health care sector keeps expanding. This means that more nurses will be needed to take care of patients in a much better manner. What salary can a nurse expect in India? Due to a wide disparity in the level of education and standard of living in India, the salary of nurses also varies widely between hospitals. Here, we strive to provide a range between which a nurse can expect salary while working in India. Unlike in many other professions, nursing interns may not be able to obtain jobs in many private institutions, unless they have completed their professional education in the same institute. The salary for internship positions may vary from a minimum of Rs.5,000 to a maximum of about Rs.10,000. There are very few institutions offering internships. Most of the institutions offer jobs because that would retain the staff nurses in their institutions. If any candidate is keen to do internship, it is possible to write to the heads of department and esquire about the possibility of an internship being done. They may respond positively if they are in need of additional staff, but some institution may even ask the candidate to remit a particular amount as fee to do internship. According to the estimates by the World Health Organization, there is still a shortage of about 2.8 million qualified nurses in India. The number of nurses who are being educated in the many educational institutions in India is far less than the requirement that is present. The Trained Nurses’ Association of India (TNAI) is an association that works mainly towards the goal of better pay package and welfare of nurses. This association usually takes up the matter of better pay for nurses. They are, in fact, lobbying for better pay packages for nurses that are on par with the other professions. The mushrooming of more nursing colleges in India has led to a huge increase in the career opportunities available for nurses. These colleges will need faculty and so the graduates who have some teaching experience are recruited in the colleges as faculty. There is ample chance for growth in these educational institutions as teachers. The nurse will be able to start the career as a tutor and then become lecturer, reader, associate professor and professor. The salary of nurses working in teaching institutions are usually higher in India. There are many career opportunities for nurses as nurse practitioners. The shortage of doctors in rural India and smaller cities has led to the recruitment of nurse practitioners in various hospitals. 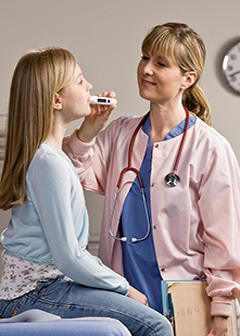 The nurse practitioner would be required to function as a practitioner in a hospital setting. The nurse will be able to specialize in various specialties and then function as a member of a highly specialized team. The role of a nurse practitioner is more clinical than a general nurse. This is because of the specialization of the nurse in a specific area of nursing. In India, the specialist nurses do not have a special salary. The salary of nurses is based on the qualification and experience. It is not based on the specialty in which the nurse is working. In some countries abroad, specialist nurses may get a better pay. For example, a operating room nurse or a theater nurse would get a better pay than a nurse with the same qualification and experience, who works in a ward. Similarly, a community nurse or a cardiac nurse would also be able to obtain a higher pay abroad. On the other hand, the nurse in India would be able to obtain only uniform pay in any specialty and the only criteria for determining the salary would be experience and qualification. When will nurses in India get salary on par with nurses around the world? Nurses will be able to get salary on par with nurses from around the world in future. This can happen when uniform health insurance or a uniform social security scheme for all citizens of the country is enforced. This is not too far ahead because the government only has to enact one law to make sure that the health industry is completely revamped to incorporate universal health insurance. Already the system is in place for health insurance schemes to cover people. There are Chief Ministers health insurance schemes in every state that will help people to obtain health care. When healthcare becomes available though insurance companies, these companies will pay the employees of hospitals. This will in turn improve the salary of nurses. Also, several nurse organizations and associations are holding management of hospitals at ransom by indulging in strikes and other activities. This is to force the managements to increase the salary of nurses in India. The salary is given as a range with the minimum and maximum listed. It does not take into account the experience, qualification or designation of a nurse. The minimum salary is mentioned here so that it acts as a uniform base to compare easily. All the salaries are given in US$ to make it easy to compare nurse salary. In European countries, the Salary of nurses in countries such as Spain, Netherlands, Germany are about $48,000 per year, which amounts to about $4000 per month. The highest paid nursing salary in the world is in Luxembourg. This country pays a monthly salary of $7,000, which is about $84,000 per year. Though the salary is high, you will not benefit from this. It is mainly because of the small size of the country which means there are hardly any nurse jobs available. Can a nurse earn more than a lakh in India per month? Yes, senior nurses in managerial positions do earn more than 1 lakh per month in India. Both teaching institutions and hospitals are willing to pay top money to nurses. But, only if they are highly qualified and have relevant experience. Qualification would mean either a MSc or a PhD. Experience in specific specialties and experience in managing huge multi specialty hospital with thousands of beds could help. Such experience will provide top jobs and top money for nurses in India. Salary of nurses will improve with inflation. As expenses in India go up, the healthcare expenses will increase too. In fact, it is said that unlike regular inflation which is about percent, healthcare inflation in India is about 20%. This means people spend more on healthcare each year. This is sure to increase the salary of nurses in India. What is the top salary of nurses in India? Nurses may start with a pay of about Rs. 40,000 after a Masters degree. They can earn up to a maximum of about 2,00,000 per month in India with adequate qualification and experience. Yes! You read it right. There are nurses in India who earn 2 lakhs per month in India. As inflation increases, the salary scale of nurses are set to increase all the time. The average nurse salary in India is Rs.30,000 to Rs.60,000. This is quite ordinary when compared to the salary of nurses in USA. The nursing salary in USA is an average of about $60,000. This is very high when compared to salary of nurses in India.